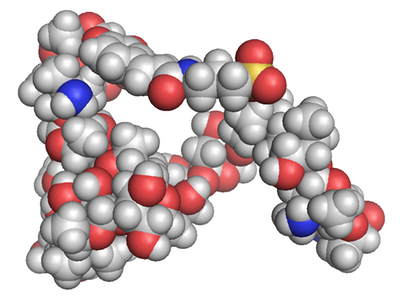 Complex carbohydrates possess an enormous promise as a source of new therapeutics. One potential avenue of drug development relies on the fact that the types of carbohydrates found in bacteria, viruses, and diseased cells differ significantly from those found on normal healthy cells. As a result, there has been an increasing interest in the use of carbohydrates for the development of new vaccines. Additionally, when sugars are attached to many drugs they can alter their properties, making them less toxic or helping them to overcome drug resistance. Despite this potential, the development of these compounds has been slow, due in large part to the difficulties associated with their construction. Our lab is interested in developing new chemical processes to streamline carbohydrate synthesis to the point where these molecules can be routinely prepared in a short period of time.